There are many variables to consider when planning a field, garden, or revegetation project. Temperature, moisture, aspect, region and species selection all affect the outcome of a project. An important, and often overlooked variable to consider when choosing a growing site is the soil type. Soils, along with many other environmental factors, play a large role in the success of a project. Soil temperature, nutrient capacity, water holding capacity and physical make-up are all factors which may have a negative and/or positive affect on plant growth. The Soils Laboratory at the Plant Materials Center (PMC) has limited capability to collect and test soils from across Alaska, increasing public access to vital chemical and physical soil data. Knowing the type and potential limitations of a soil can provide field crops and revegetation projects a higher success rate, in the field or at the project site. The PMC utilizes several different methods to collect soil samples. Samples are gathered using clear PVC bore hole probes in either 6 or 24 inch depth increments. This type of collection extracts a small vertical profile with little to no compaction. The bore hole method allows collection at many sites in a short amount of time. Alternatively, samples can be collected using a hand powered auger. 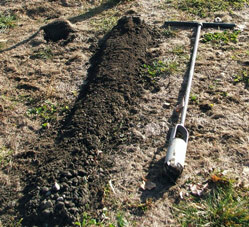 The auger method allows large quantities of soil to be collected to a depth of up to 16 feet. An auger can be used in sand, silt, clay, mud or rock less than 2mm in diameter. Both the bore hole and auger methods can be used in conjunction with open pit digging. Each sampling method can be adapted to account for variability of sites. The PMC can conduct chemical constituent testing of collected soil samples. Utilizing colorimetric, titrimetric, and electronic methods the PMC tests for macronutrients such as Nitrogen, Phosphorus, Potassium, Calcium, and Magnesium. 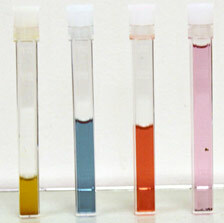 Micronutrients such as Iron, Copper, Zinc, Chlorine and Manganese can also be tested. Testing protocols for trace nutrients such as aluminum and sodium are currently being developed. In addition, electro-conductivity (EC) and pH can be calculated and/or measured from collected samples or in the field if requested. Each nutrient is reported in total amounts within the soil solution and calculations can be done to estimate the total amount of available nutrients to a plant. Once chemical data is obtained nutrient deficiencies and/or toxicities can be identified and fertilizer ratios can be recommended for the project area. Soil analysis includes the description of physical characteristics of a soil such as texture and bulk density. These physical characteristics can affect plant growth and also indicate the erosion potential of a site. Basic hand tools such as a garden trowel, soil sieve and a weight scale are utilized to collect soil samples for lab analysis. Texture analysis is performed by weighing, drying and sifting each sample through a column of soil sieves. These sieves allow the sample to be divided according to particle size. Soil samples are graded into very coarse sand, coarse sand, medium sand, fine sand, very fine sand, silt and clay. 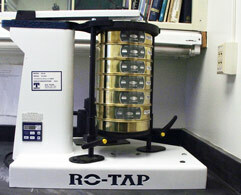 A rotating and tapping machine, appropriately named the Roto-Tap, is used to process each sample for a known length of time. This machine uses a consistently applied circular and up-and-down motion allowing precise results to be obtained. Once divided the soil remaining within each sieve is weighed again and a percentage composition is calculated and recorded. Soil classification is based on percentages of sand, silt and clay. Lab technicians categorize each soil sample according to the USDA textural triangle (bottom right). Lastly, bulk density testing is performed to determine soil compaction, water content and porosity.